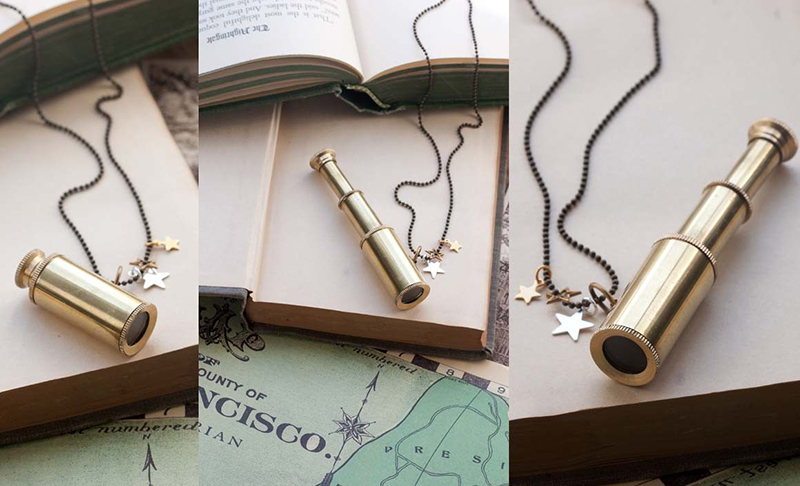 The miniature telescope is fully functional with a tiny constellation of stars to guide your voyage to a new world. 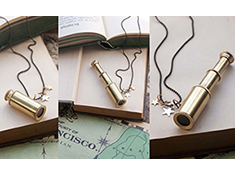 The telescope measures 1.25” when closed and 3.25” when open. 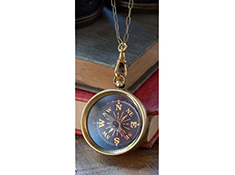 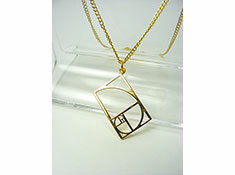 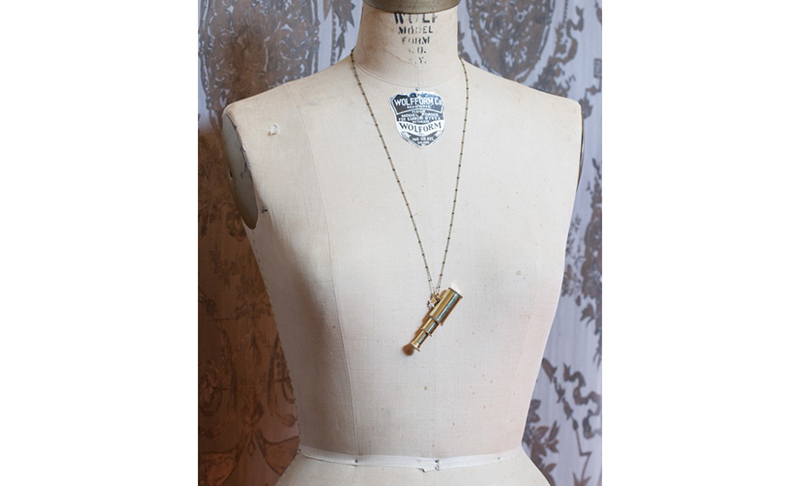 The telescope is hung on a 27” beaded brass chain with added gold, silver and brass stars.